Winepak is a Flatpak repository for Microsoft Windows applications bundled with Wine. 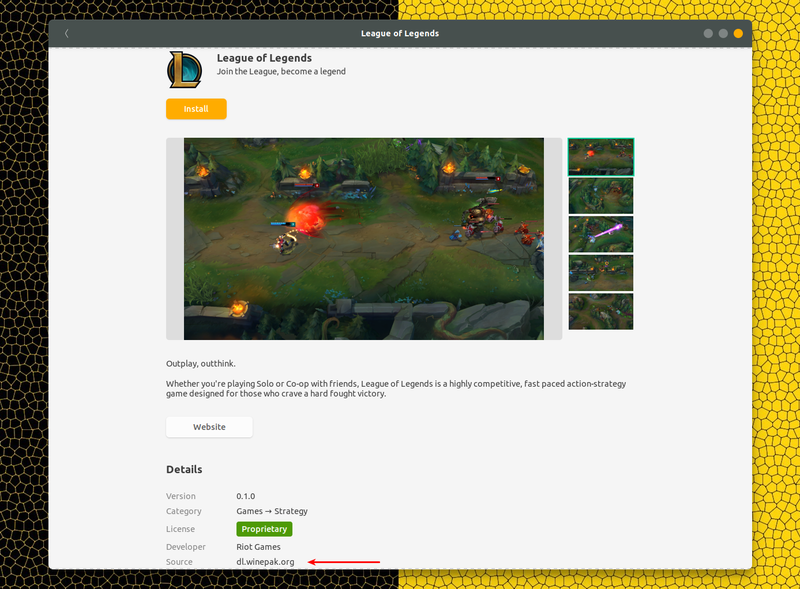 Its aim is to "make installing and running [Windows / Wine] applications Just Work", by including the runtimes required to run the software / game under Linux (Wine, etc.). As some of you might already know, Wine is a compatibility layer that allows running Microsoft Windows applications and games on Unix systems. Simply running Windows software / games using Wine doesn't always work on Linux - sometimes you need to install additional libraries, use a different Wine version than the one installed on your system, and so on. This is what Winepak aims to solve, by including everything required (libraries, the Wine version that was tested with that particular app or game, etc.) to run a Windows application or game in Linux so that users simply install the Flatpak, run the Windows application and it just works. The Winepak applications GitHub also contains Fortnite (co-op survival game), Polygonal Planet Project (a Unity3D tool to build your favorite planet as your wallpaper) and Internet Explorer 8, but these don't seem to be available in the Winepak Flatpak repository yet, so you won't be able to install them right now. These packages may need some work and will probably be available soon though. The Winepak website does not include a list of software available for install, but a web store is planned so users can see all available Winepak items without the need of an extra app like Gnome Software or the use of the Flatpak command line tool. You might say that what Winepak does was already possible, by using Wine prefixes for example. And you would be right in saying this, but Winepak has some advantages, like making it easy for users who don't know how to create Wine prefixes. And it's Linux distribution agnostic as well, meaning it works on any Linux distribution (that supports Flatpak) without requiring any changes to the packages. Sure, there are just a few Wine applications available on Winepak at the moment, but it has a great potential. Yes, it takes a while to tweak everything to make sure some Windows game works properly, but once the Flatpak is done, it works on any Linux distribution, now or in 2 years, without modifications. I'd also like to add that for games or software for which the license doesn't allow redistribution, Winepak does not include the software / game files. The repository packages run online installers which legally download the files. For example, after installing Overwatch, the menu entry prompts you to install Blizzard's Battle.net app, then you'll need install Overwatch using Battle.net. The first step is to setup Flatpak on your Linux distribution. There are quick setup instructions available on Flatpak.org. You should now be able to install software available in the Winepak repository by using your Software app, as long as you installed the Software Flatpak plugin. On my Ubuntu 18.04 system, some Winepak packages don't show up in the Software app though, I'm not sure why. You'll need to change tld.domain.Application to the app you want to install. Winepak installs installs custom desktop and appdata files, so you should find the software you install in your desktop's application / software menu.